The Office of Health, Safety and Security (HSS) was created to bring the vital Department of Energy (DOE) corporate functions of health, safety, environment, and security together under one office. To ensure effective coordination of these functions, HSS focuses on policy development, technical assistance, education and training, enforcement, and independent oversight programs. To provide consistency across the Department, HSS maintains a close working relationship with the National Nuclear Security Administration (NNSA), the Under Secretaries of Energy and Science, line managers, and the Department's field sites. We serve the United States by ensuring a fast, safe, efficient, accessible and convenient transportation system that meets our vital national interests and enhances the quality of life of the American people, today and into the future. The National Institute of Environmental Health Sciences (NIEHS), located in Research Triangle Park, North Carolina, is one of 27 research institutes and centers that comprise the National Institutes of Health (NIH) (http://www.nih.gov/), U.S. Department of Health and Human Services (DHHS) (http://www.dhhs.gov/) . The mission of the NIEHS is to reduce the burden of human illness and disability by understanding how the environment influences the development and progression of human disease. The National Transportation Safety Board (NTSB) is an independent federal accident investigation agency. Since its creation in 1967, the Safety Board�s mission has been to determine the probable cause of transportation accidents and to formulate safety recommendations to improve transportation safety. As one of ten agencies within the U.S. Department of Transportation (DOT), PHMSA works to protect the American public and the environment by ensuring the safe and secure movement of hazardous materials to industry and consumers by all transportation modes, including the nation's pipelines. The unions headquarters in Washington, D.C. The American Train Dispatchers Association is one of the 9 unions participating in the Rail Worker Hazardous Matierlals Training Program. The Brotherhood of Locomative Engineers and Trainmen is one of the 9 unions participating in the Rail Worker Hazardous Matierlals Training Program. 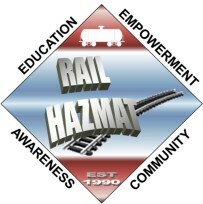 The BMWED is one of 9 rail unions participating in the Rail Worker Hazardous Materials Training Program. The Brotherood of Railroad Signalmen is one of 9 rail unions participating in the Rail Worker Hazardous Materials Training Program. 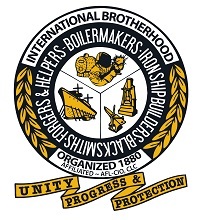 The International Brotherhood of Boilermakers is one of 9 rail unions participating in the Rail Worker Hazardous Materials Training Program. The National Conference of Firemen and Oilers (NCFO) is one of 9 rail unions participating in the Rail Worker Hazardous Materials Training Program. The Sheet Metal, Air, Rail, and Transportation (SMART) Union is one of the 9 unions participating in the Rail Worker Hazardous Matierlals Training Program. The Transport Workers Union is one of the 9 unions participating in the Rail Worker Hazardous Matierlals Training Program. The Transportation Communications Union is one of the 9 unions participating in the Rail Worker Hazardous Matierlals Training Program.